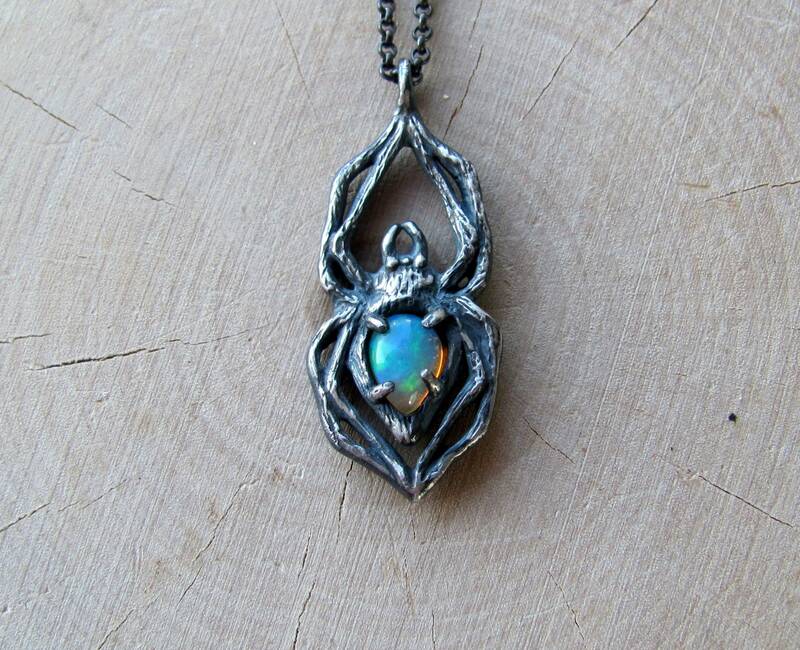 Arachne Necklace with Ethiopian Opal! 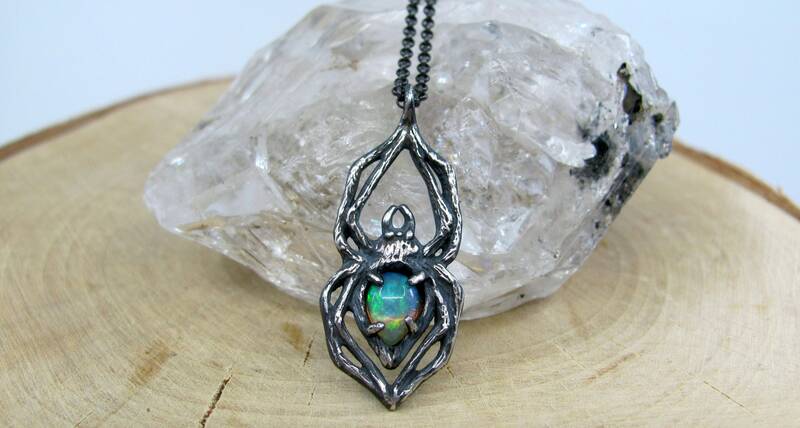 I named this piece after the mortal weaver Arachne, who dared challenge the Greek Goddess Athena to a weaving contest, and ultimately getting herself turned into a spider as punishment for such brazenness! 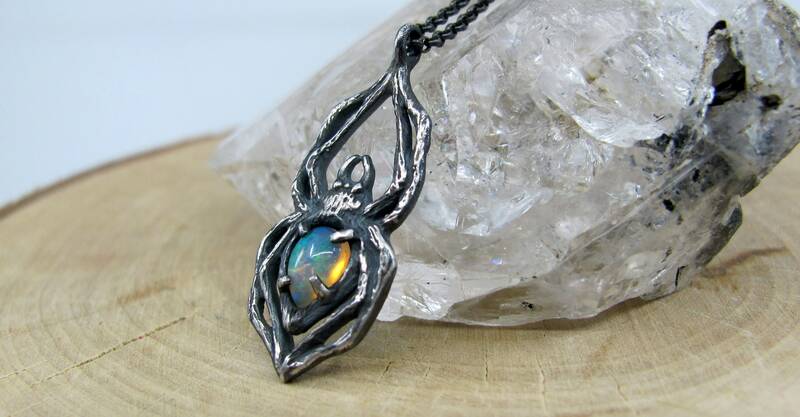 Dimensions: The pendant is solid sterling silver and approximately 1.25" long and .5” wide, and hangs on an 18"-20" adjustable sterling silver 1.5mm rolo chain and has a lobster claw clasp. 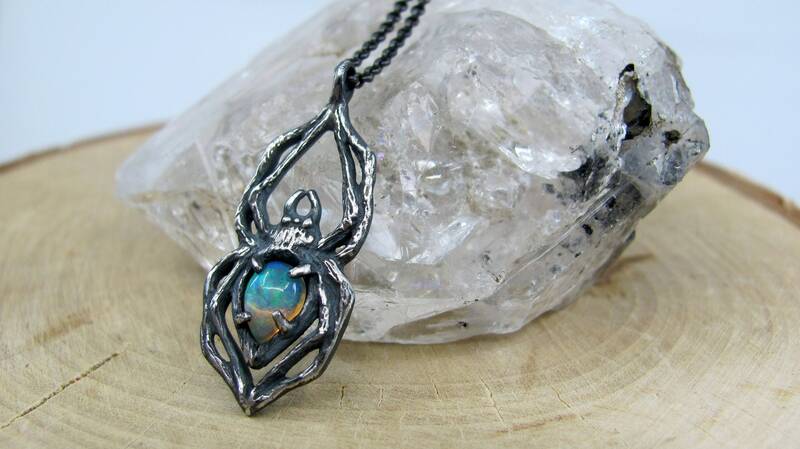 A 5 x 7mm green opal pear is nestled in the body of the spider. Please allow 3 - 4 weeks for this piece to be made just for you! These pieces are entirely hand made by me from start to finish, but for one middle step: the lost wax casting process which is done for me at a fabulous family owned casting shop in RI, just an hour drive away from my Boston home. In addition to the wax work, I set my own stones and do all of the metal work as well. 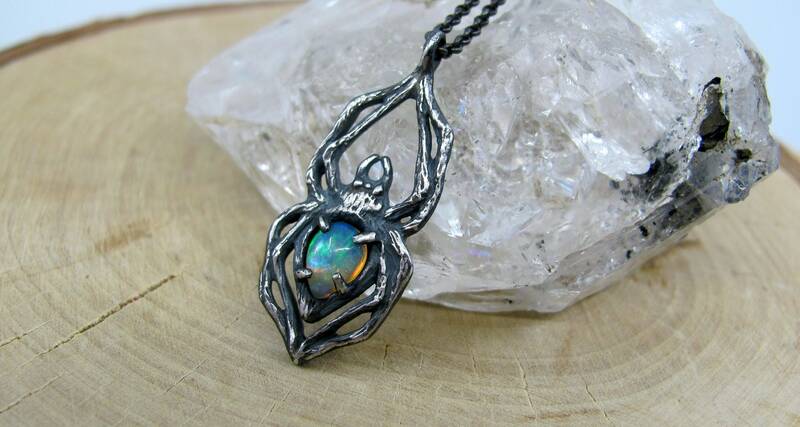 Each piece I make comes from my heart, imagination and materializes via my hands. Each creation is literally a small piece of me going out into the world to spread its own little magic. 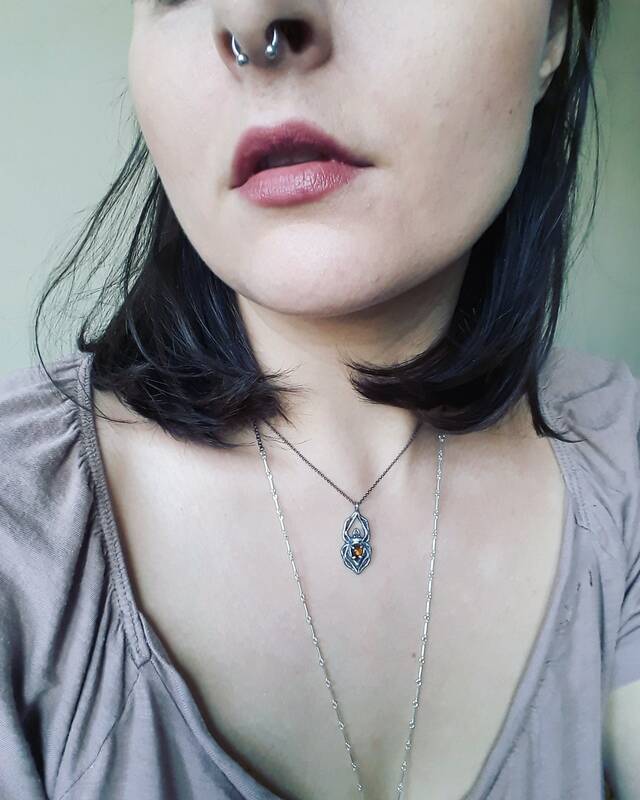 I hope my pieces bring their wearers moments of joy and empowerment.